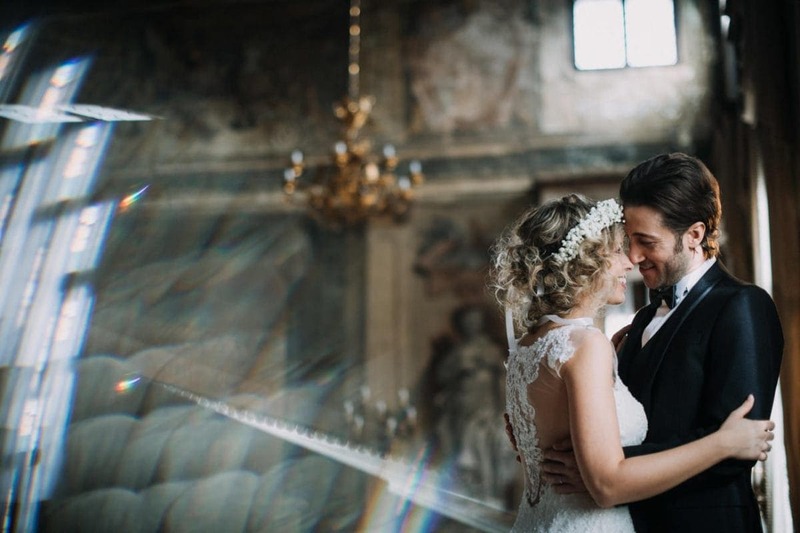 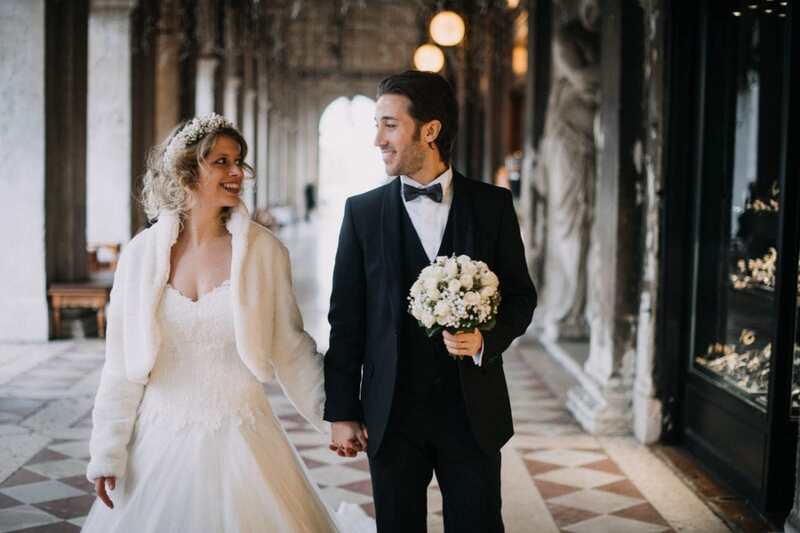 Imagine the romance of Venice, a bright winter day, a beautiful young couple and a romantic, intimate ceremony in a stunning Eighteenth Century palace. 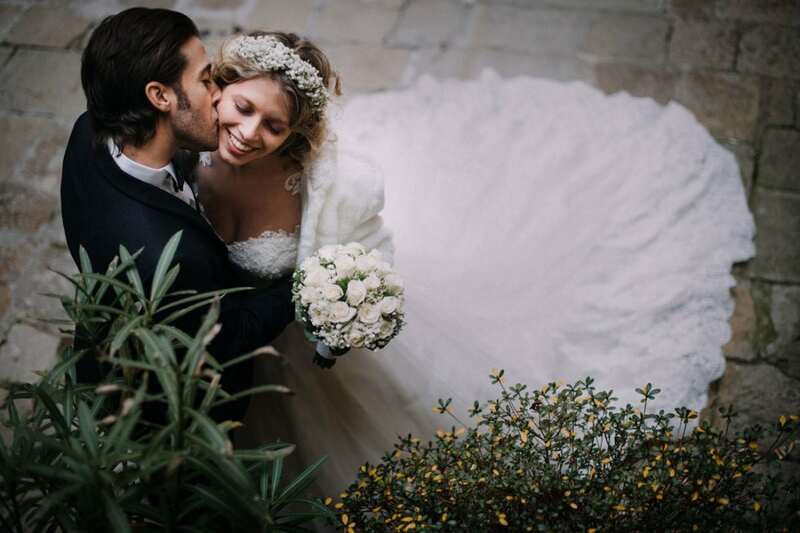 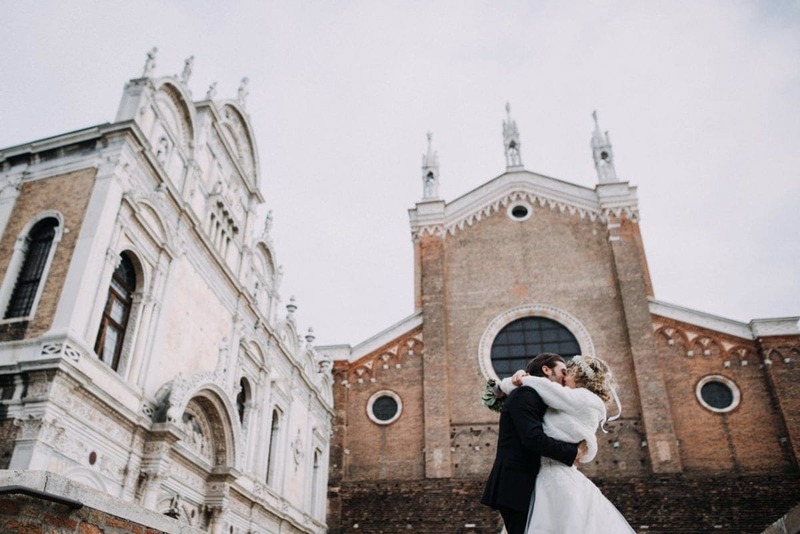 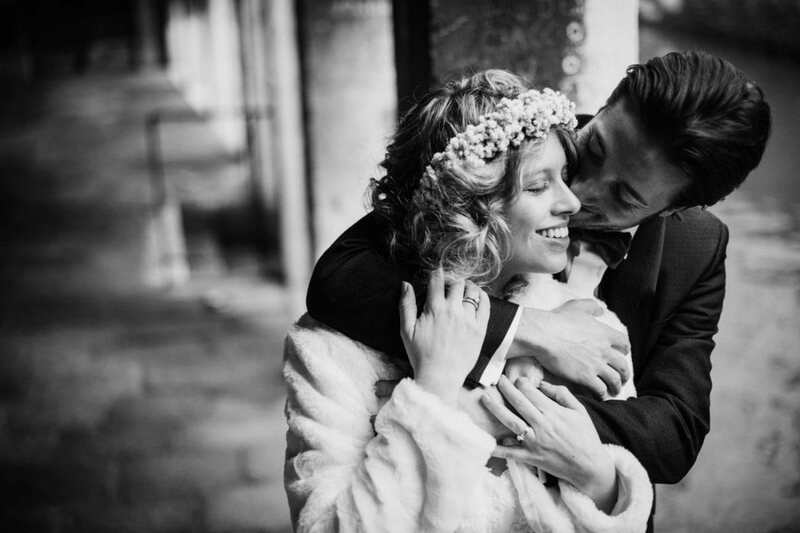 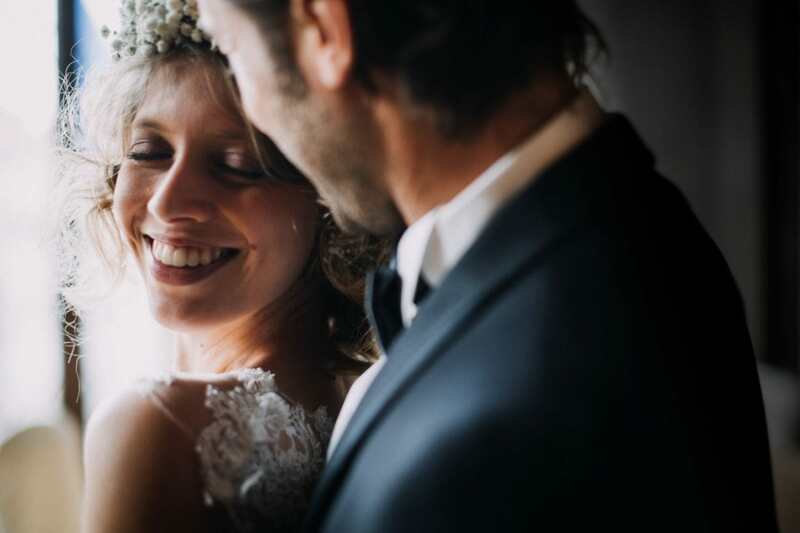 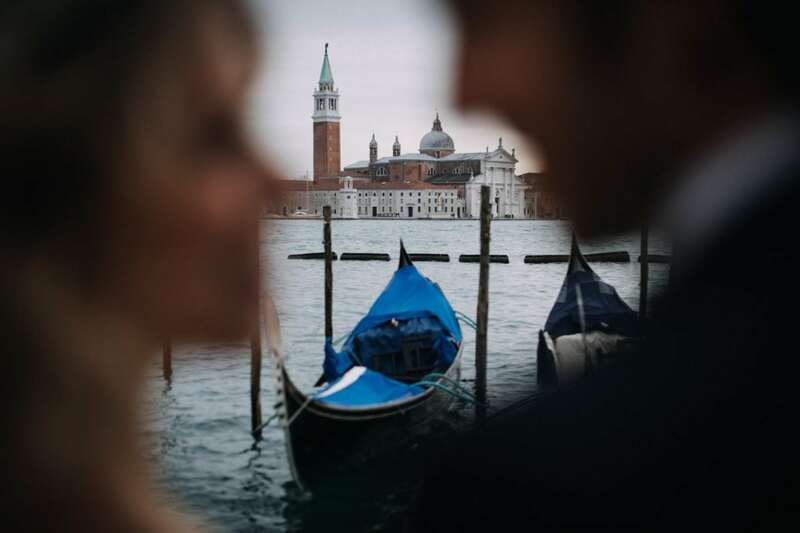 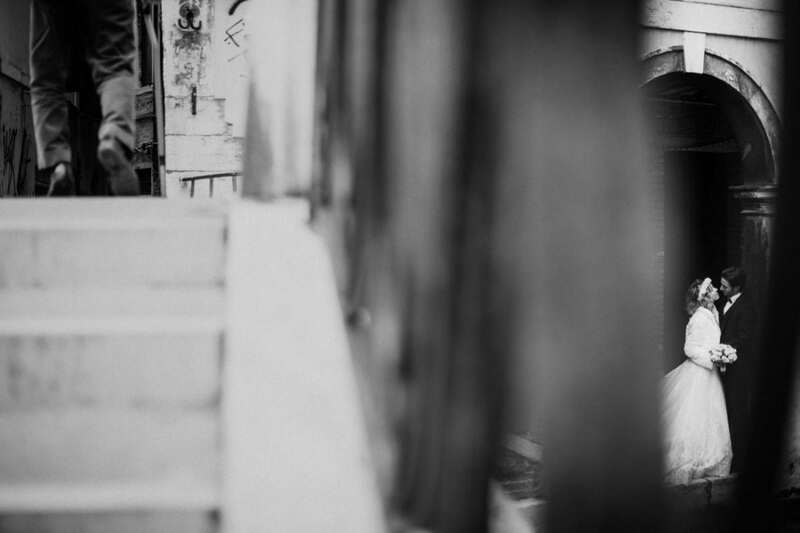 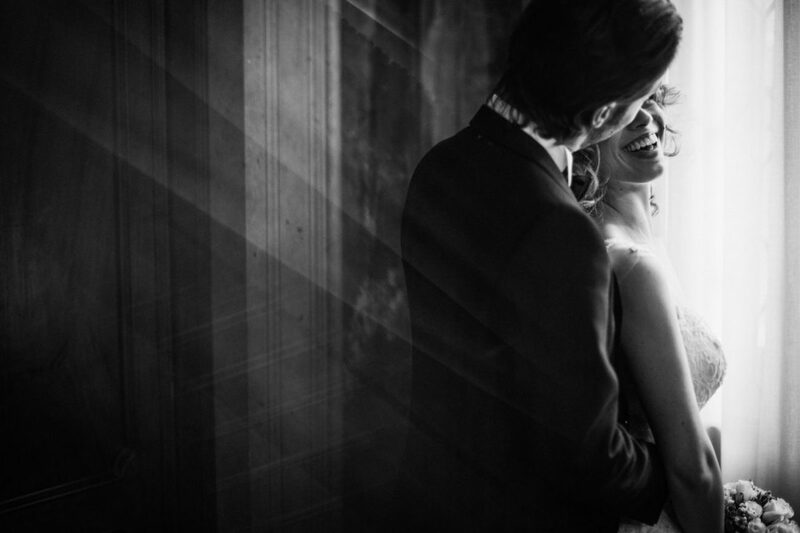 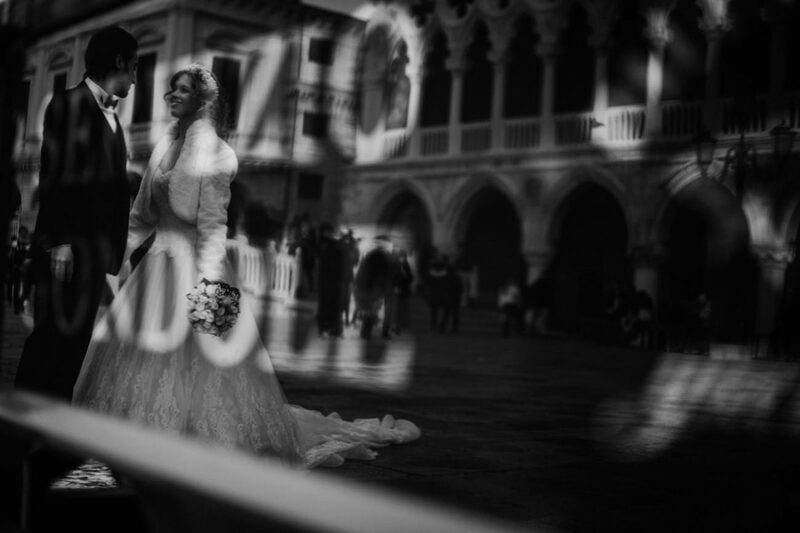 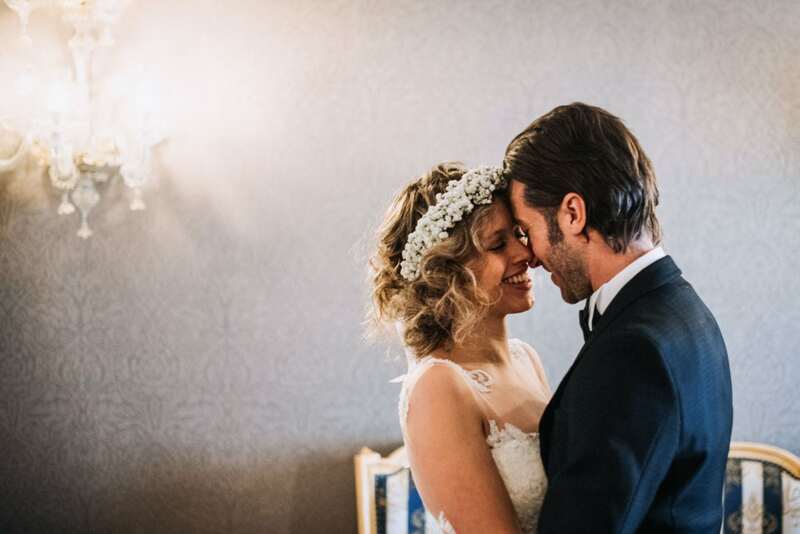 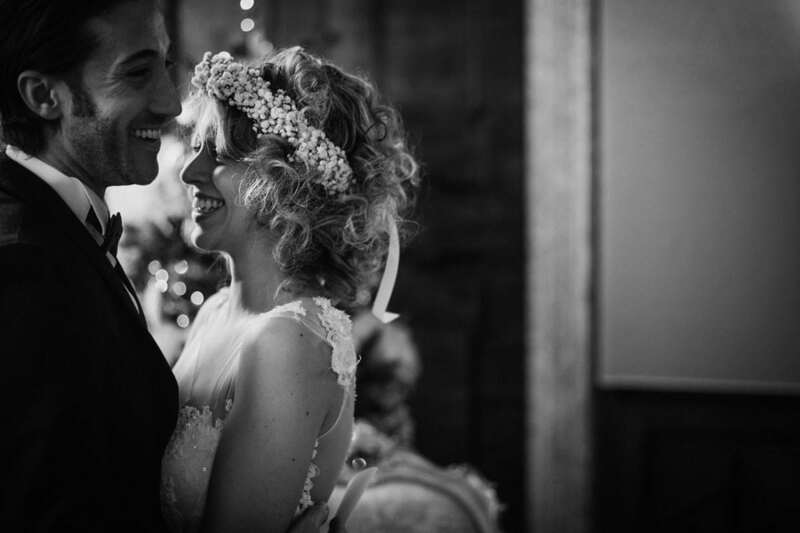 Imagine a dream coming true – the dream of Elisa and Mattia, a stunning elopement in Venice! 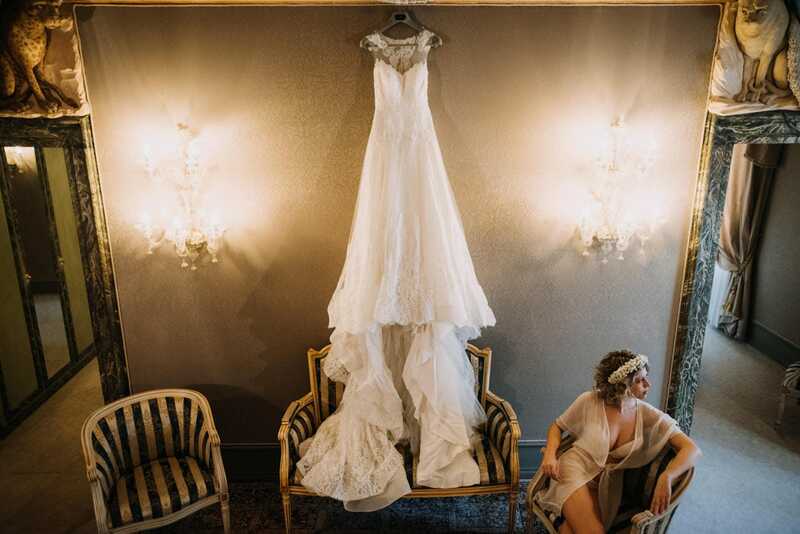 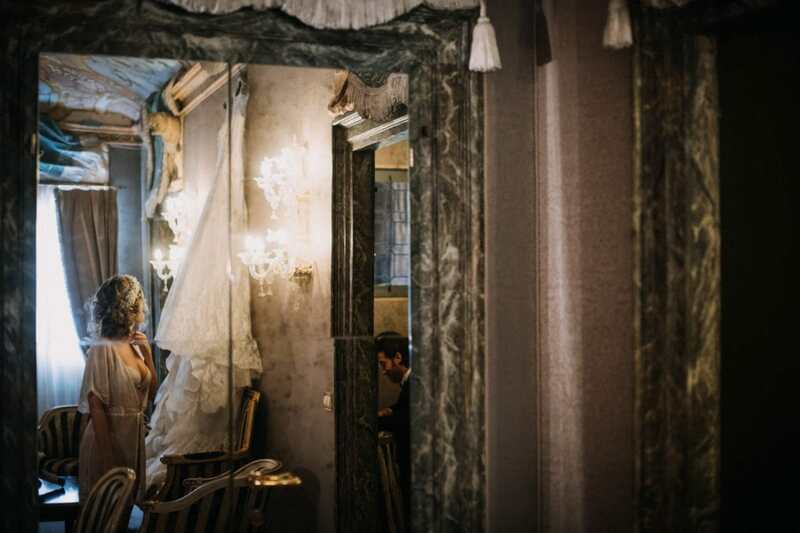 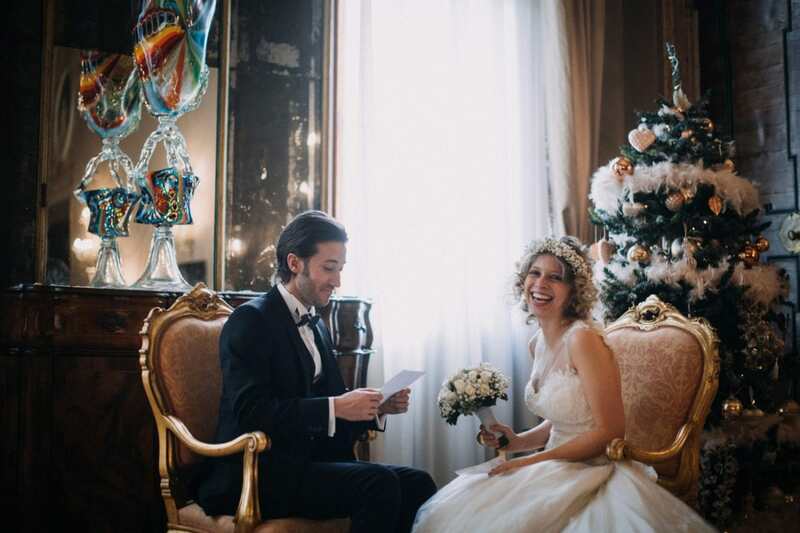 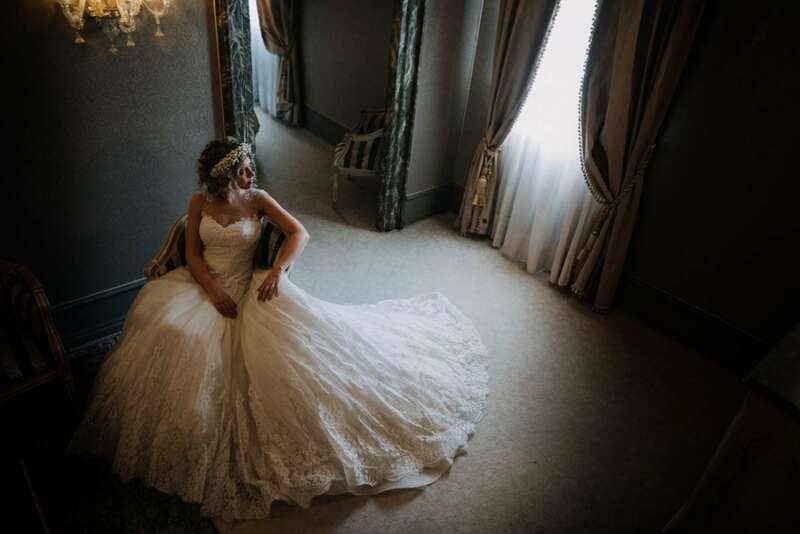 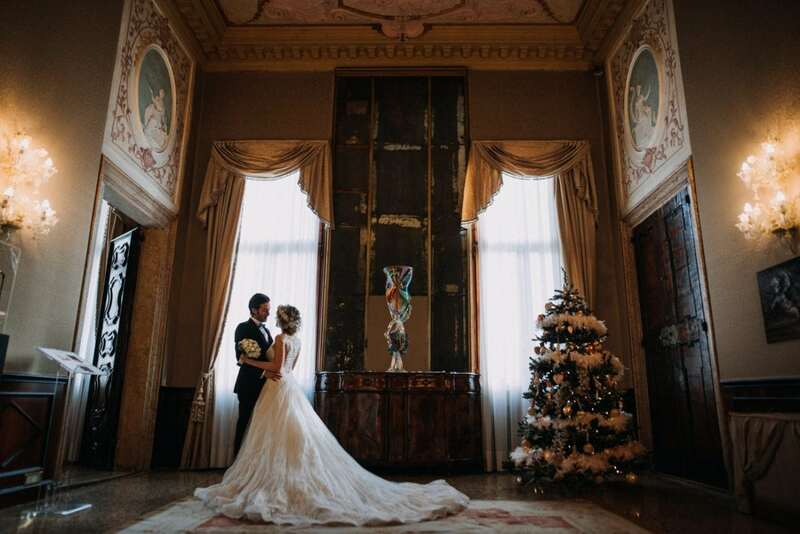 This beautiful couple got ready separately in the beautiful Suite 316 of Ca Sagredo, once known as Sala degli Stucchi. 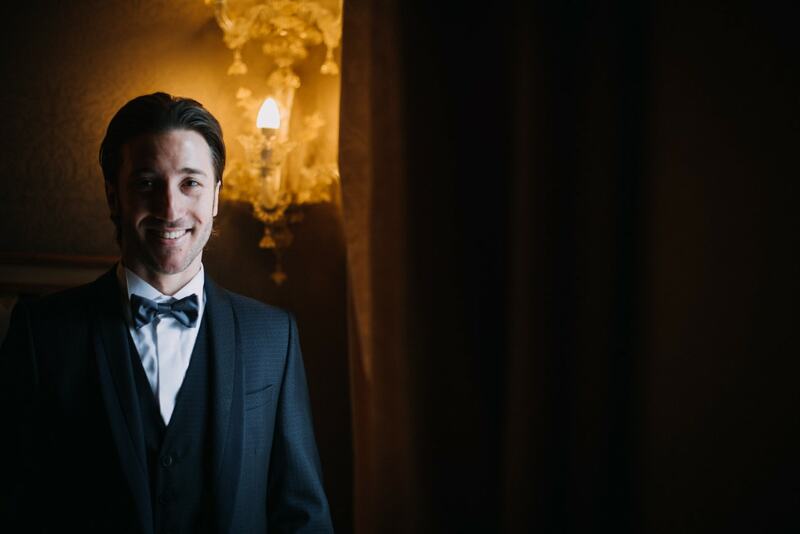 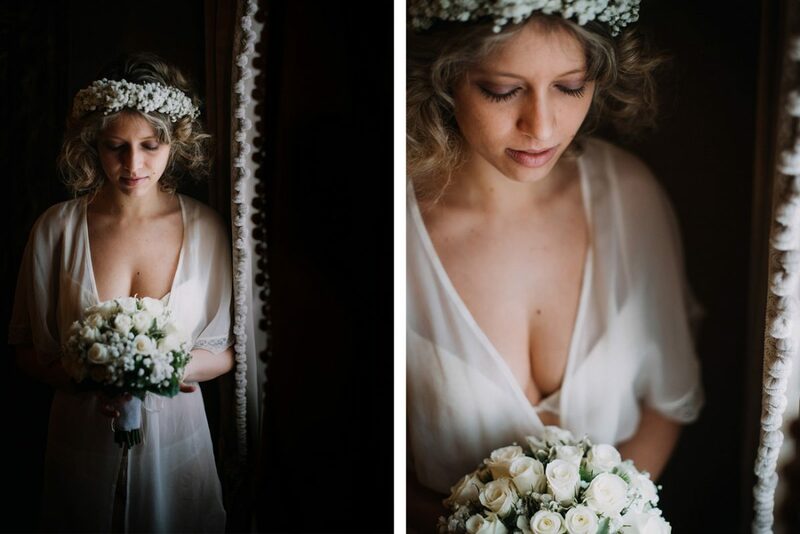 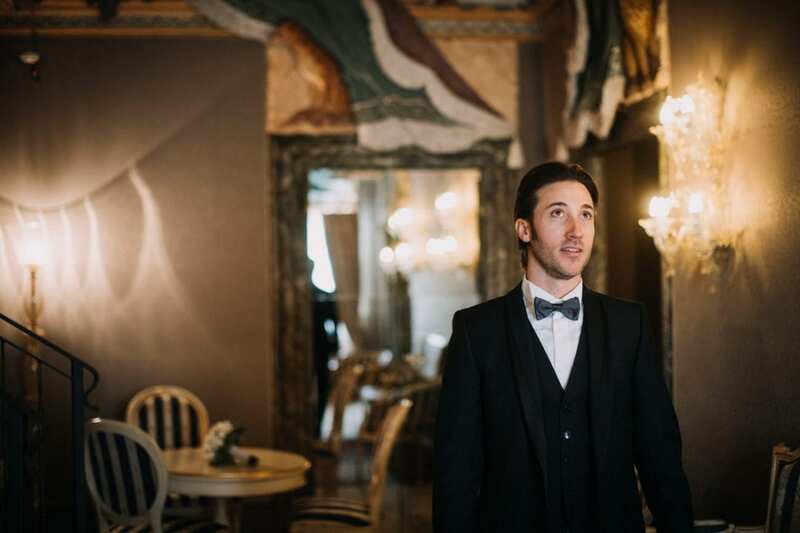 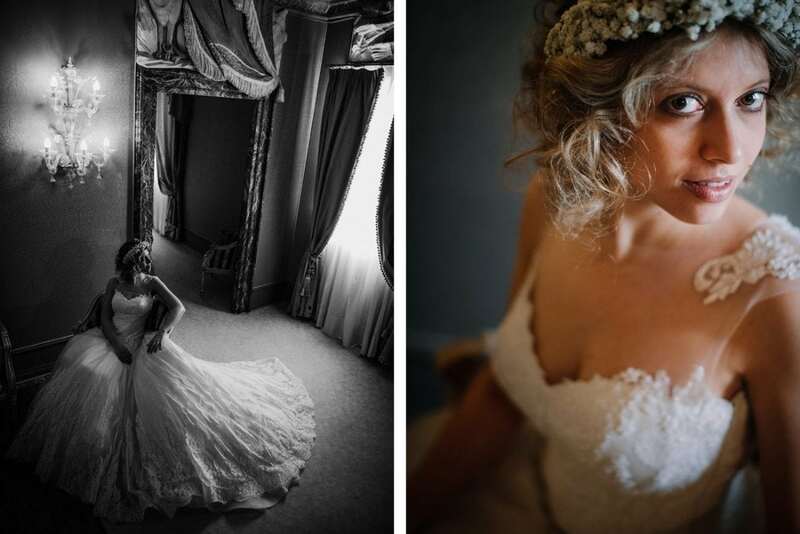 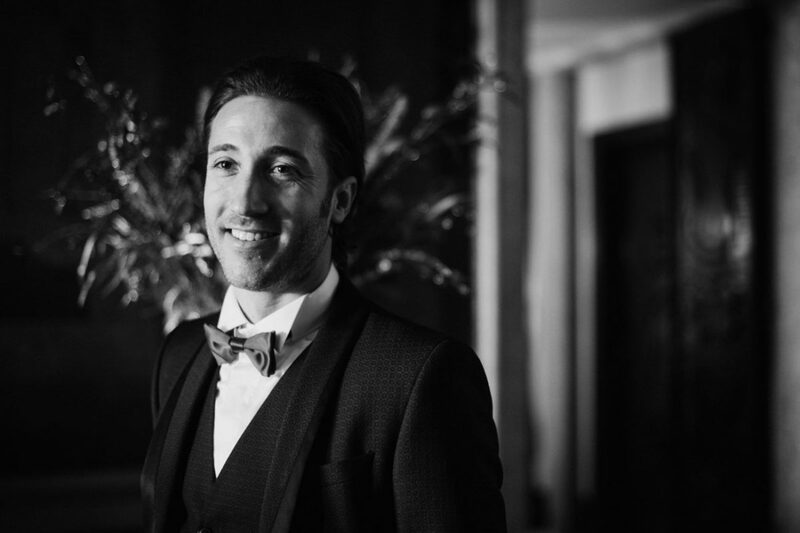 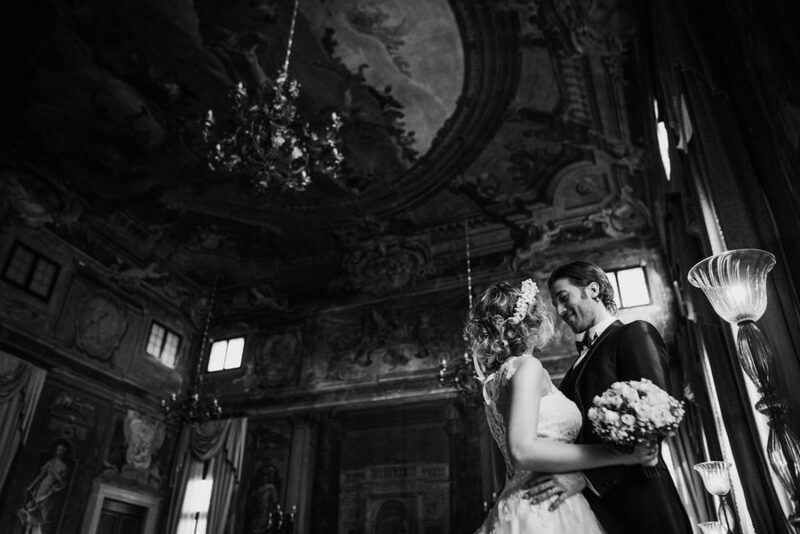 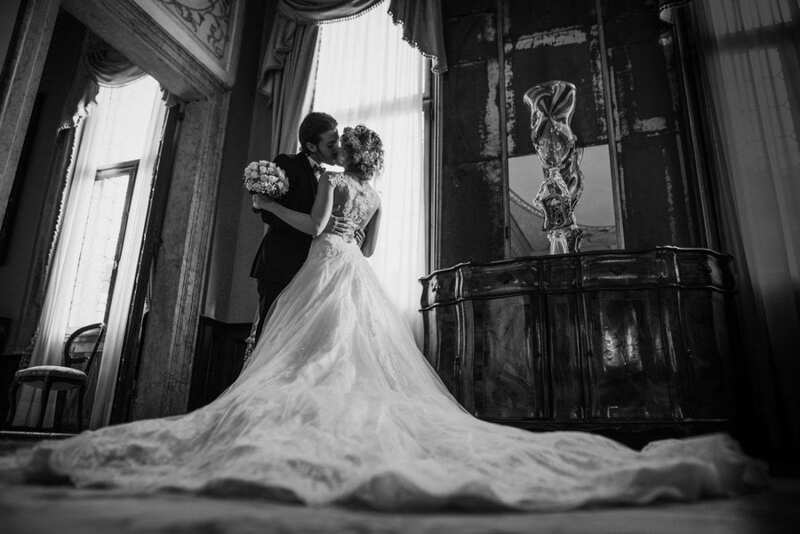 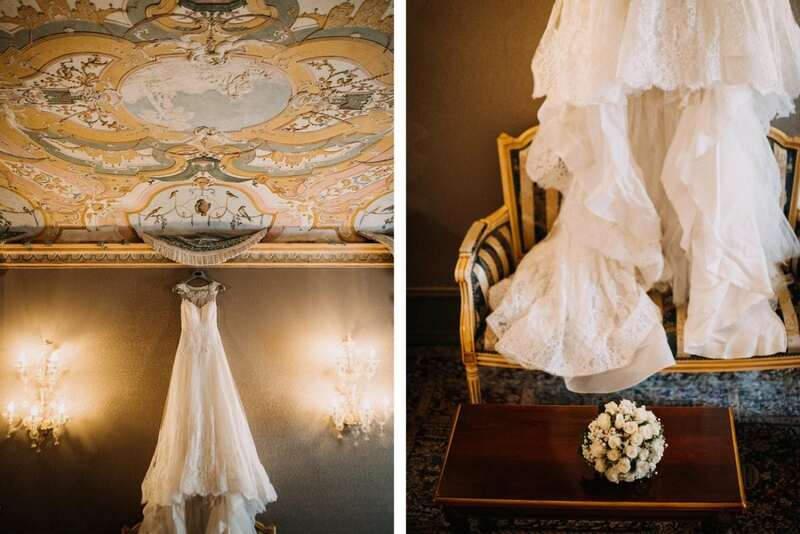 Mattia put on his wedding suit in the main bedroom, while Elisa wore her beautiful dress in the main frescoed hall. 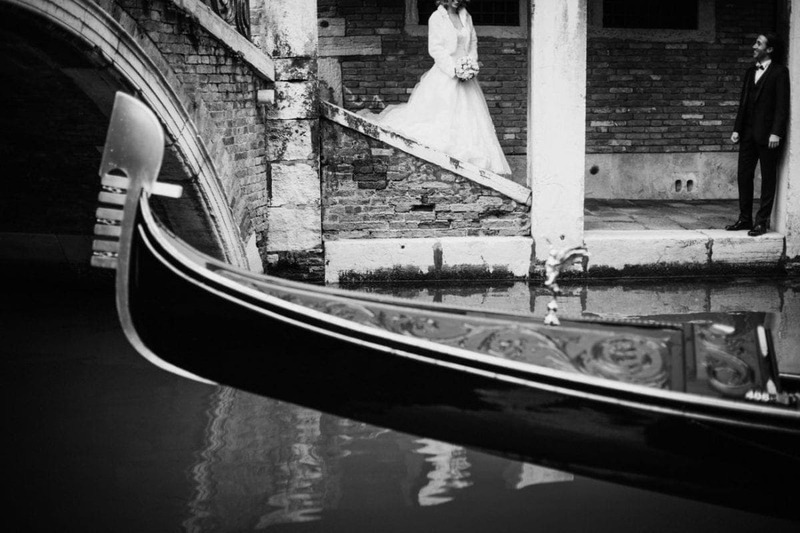 There, they had their first look too: I loved that moment, so romantic! 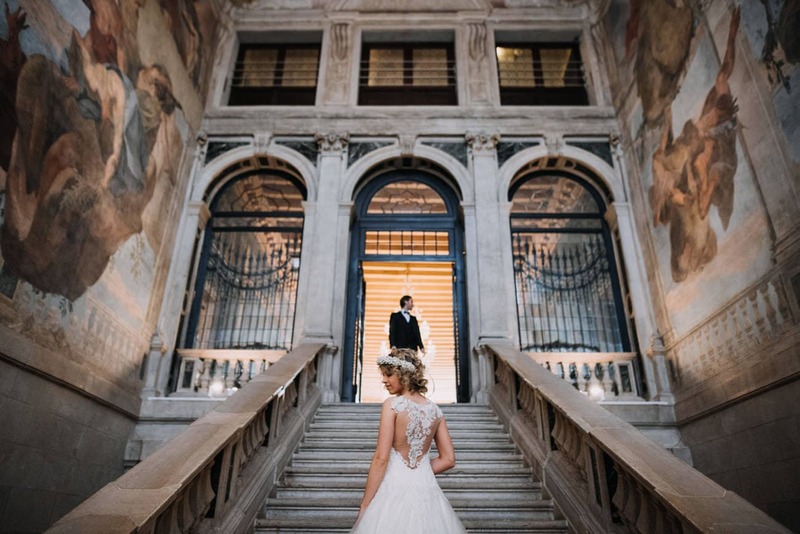 They walked together up to the main halls through the wonderful staircase – marble, statues of angels and incredible frescoes! 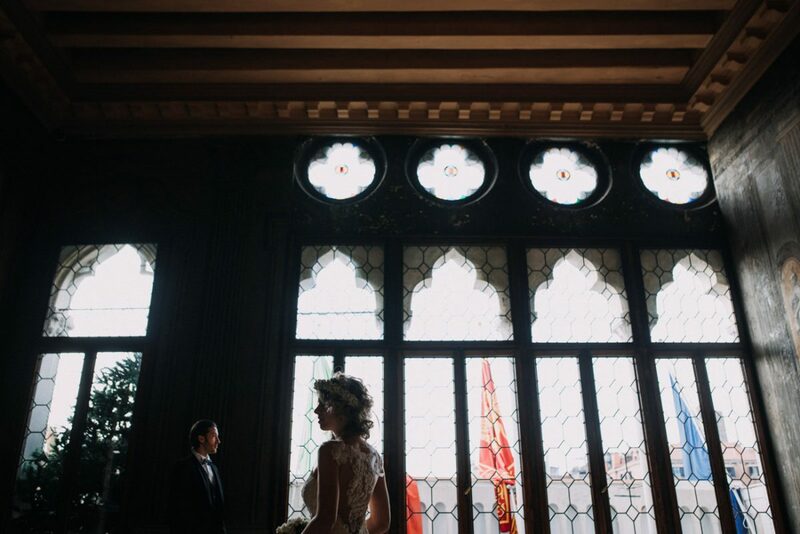 They had a little private ceremony in a beautiful room next to the Sala della Musica. 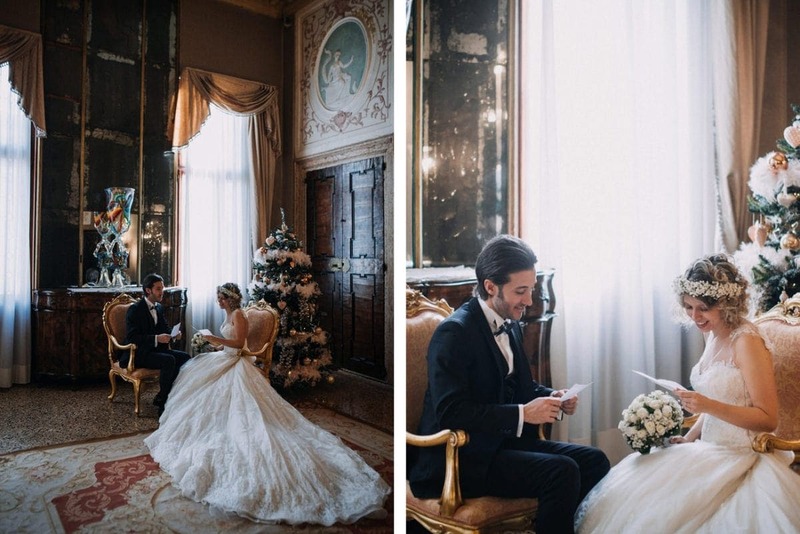 They sat by the Christmas tree, read their vows and exchanged their rings – I loved that moment! 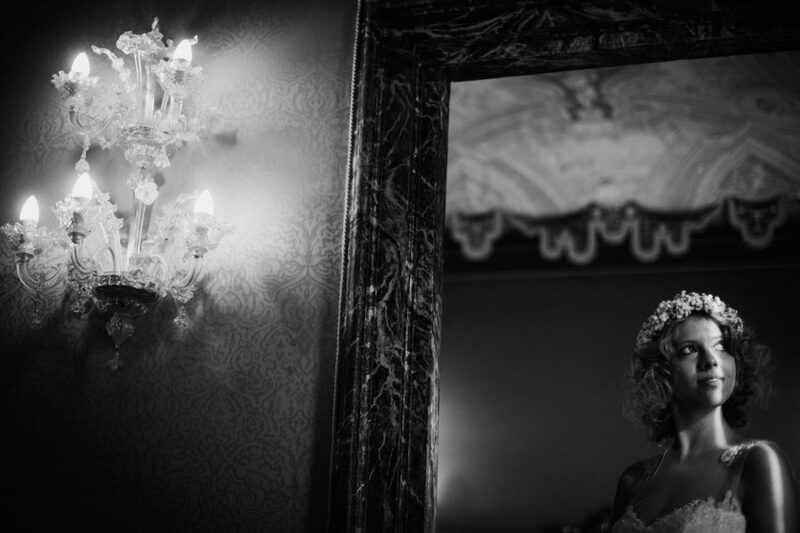 After the ceremony, we shot some photos in various halls of Ca Sagredo. 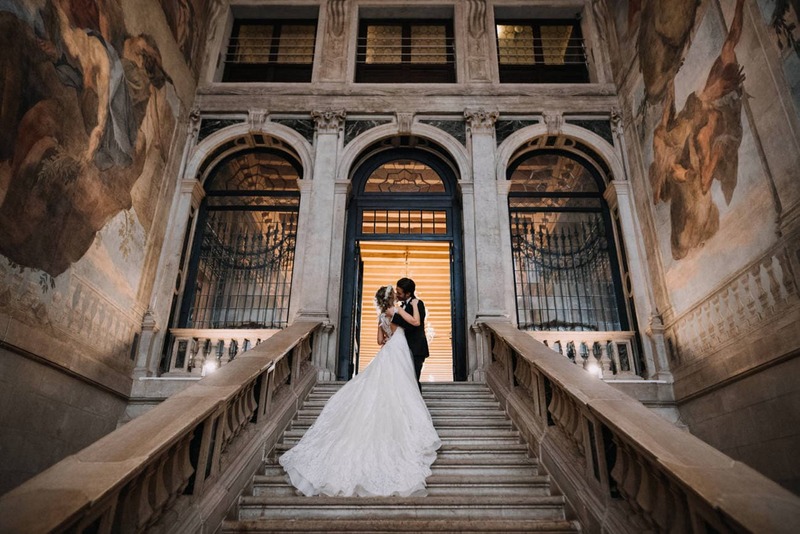 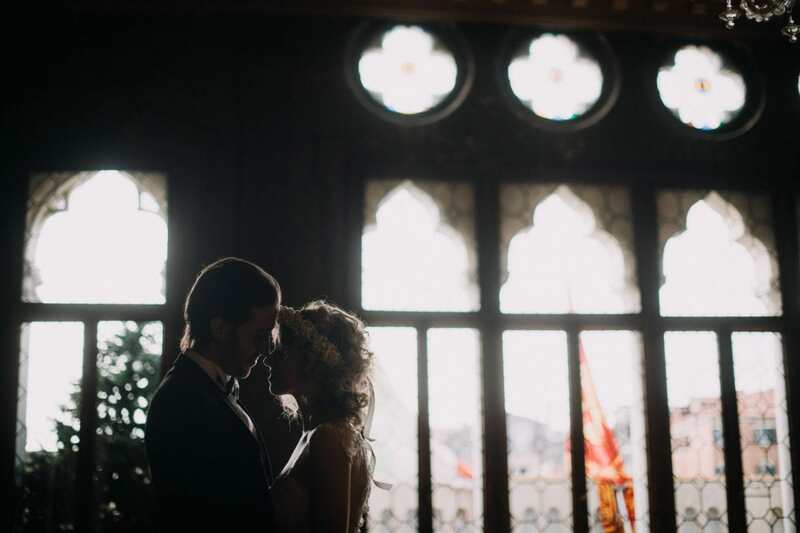 All the first floor of the palace is amazing for couple photos and ceremonies! 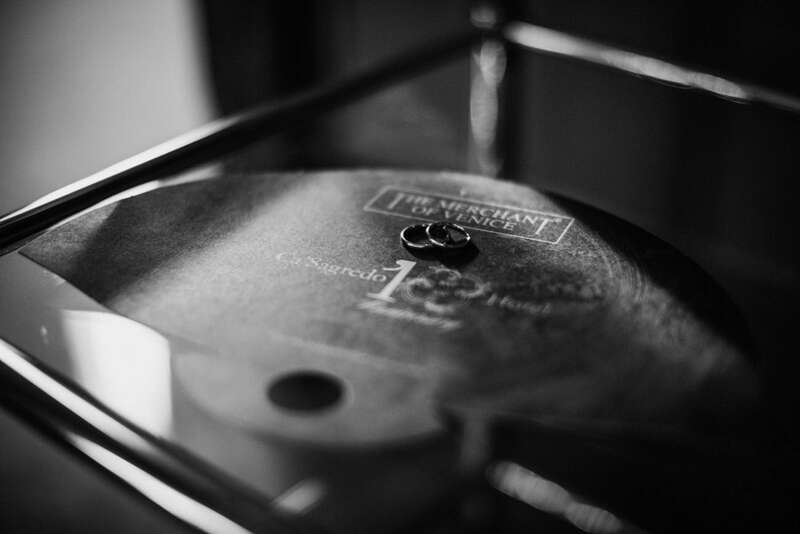 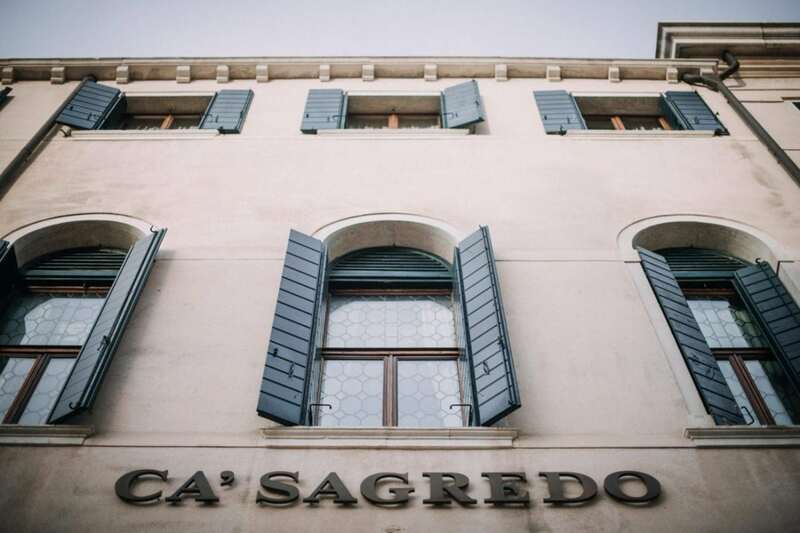 Ca Sagredo has a very long story, as it was first built in the Fourteenth Century, then restored during the years of the Serenissima, and finally turned into a luxury hotel ten years ago. 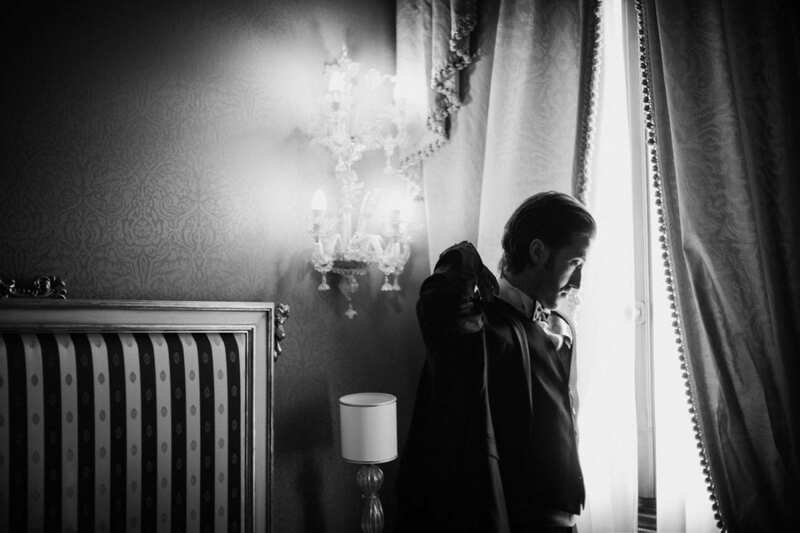 I always love shooting there – it’s simply a majestic place. 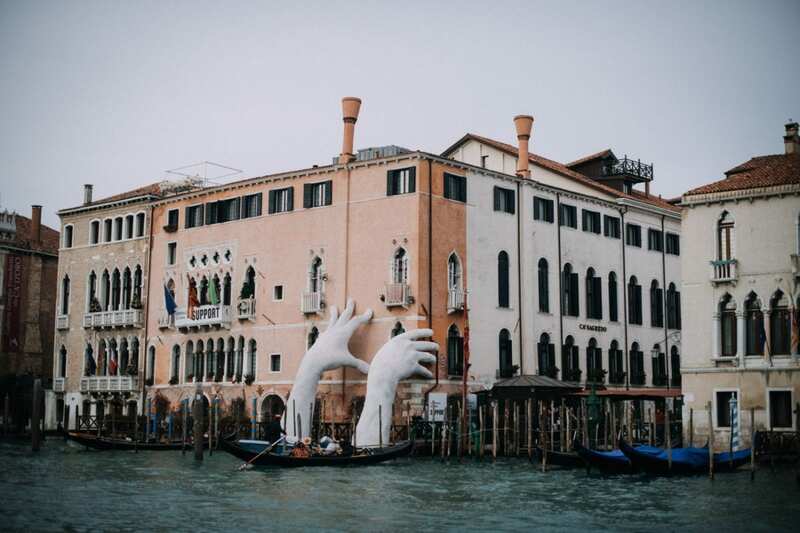 After the shooting inside Ca Sagredo, we had a walk together in Venice. 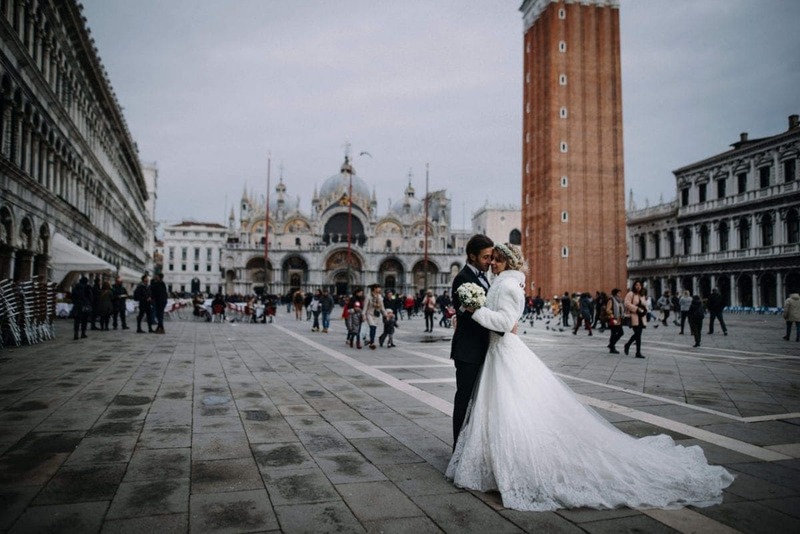 The city looks so beautiful, so peaceful during the winter – with few tourists and the Christmas lights still on, the city shines in all its beauty. 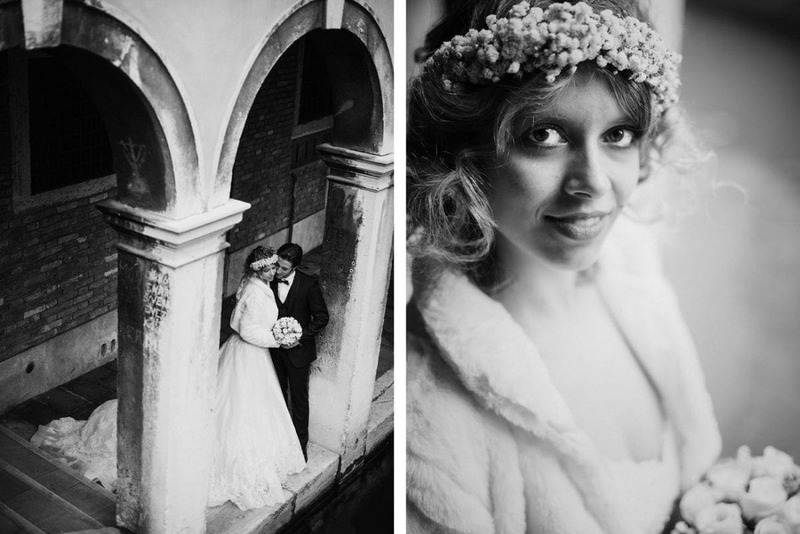 A lovely elopement in Venice, one of my favorites so far!